When I was pregnant with my second son, born in 1998, I was living out in the country in a small house next to my parents’ bigger house. My son was born in late August, and all through that third trimester I spent a lot of time outside. In those years, my mother had the habit of having her pebble driveway sprayed with Round-up a few times during the summer to keep the grass and weeds at bay. Since the pebbles came right up by the front door of our little house, the Round-up was there too. I complained to her that it was toxic, bad for our pets, not to mention us, but it took many years for her to pay enough attention to this issue to rate health more highly than a neat appearance for the driveway. I was thinking about this today as I read the news that finally, at long last, the medical research establishment is beginning to go public in announcing the link between the use of Round-up, skyrocketing rates of autism among children, and colony collapse disorder among bees. My mother will remember that when my second son was born, we began to worry about him when, by his second and third month of life, he was still not making eye contact, and not returning a smile. He was a sweet, calm baby who slept and ate well, and loved to be cuddled…but unlike his older brother, who was laughing and smiling in his first month, he had a curious detachment about him that was unsettling. Just like everyone knows someone with cancer, everyone knows someone who has had the hardship of bringing up an autistic child. It’s a heartbreaker, and in those early months with my second son I was truly frightened that I might be in for that kind of ride with him. And then, just like that, he started to smile, make eye contact, and all was well. Could it be that his development was delayed because of the local spraying of Round-up during the last months of my pregnancy with him? Recent research suggests that this is quite possible indeed. It’s common knowledge that the Monsantos and Dows of the world use their immense fortune to suppress negative research when at all possible. But at this point, with our bee population in serious crisis and the U.S. Center for Disease Control (CDC) telling us that 1 in 88 children is now diagnosed with autism (a figure that does not include all the many, many children who are diagnosed “on the spectrum” with some form of mental impairment), it is impossible for the corporate honchos to keep the lid on this story any longer. It is an international scandal, bigger even than the Big Tobacco scandals of a generation ago, because in this case there is no way that a defense team could argue that it is a child’s choice to expose herself to toxic chemicals. France, Germany, Italy and other European countries have already taken steps to ban these harmful pesticides and herbicides. The U.S. Environmental Protection Agency, finally acting under extreme pressure from concerned citizens, is in the process of “reconsidering” its approval for “Poncho,” one of the most dangerous pesticides, proven to have a negative impact on bees. Dr. Brian Moench, President of Utah Physicians for a Healthy Environment and a member of the Union of Concerned Scientists this week had the courage to defy Big Ag and describe—I believe for the first time—the missing link between bee colony collapse disorder, human autism, and widespread toxic chemical use in agriculture. In an article published Monday on Common Dreams, Dr. Moench wrote: “The brain of insects is the intended target of these insecticides. They disrupt the bees homing behavior and their ability to return to the hive, kind of like “bee autism.” But insects are different than humans, right? Human and insect nerve cells share the same basic biologic infrastructure. Chemicals that interrupt electrical impulses in insect nerves will do the same to humans. But humans are much bigger than insects and the doses to humans are miniscule, right? 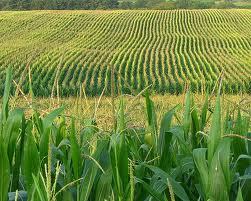 Just down the road from the house where I lived while pregnant with my second son are fields of corn that are maintained by a local farmer. It’s nowhere near the scale of agriculture in the Midwest or California, but still, if the wind was blowing while they were spraying the herbicides and pesticides in the spring, or while they were harvesting the corn in the fall, we would certainly be inhaling a toxic brew, that undoubtedly found its way into our well water. And that’s beside the voluntary Round-up spraying of the driveway, and the fact that in those days I was not aware enough to be making a strong effort to buy organic fruits and vegetables, and avoid commercial meat. So all in all I must consider myself and my family very lucky to have so far avoided autism or cancer. This should not be left to luck. Allowing Monsanto, Dow and the other agricultural chemical companies to continue to profit from poisoning our land and our food supply is absolutely unconscionable. 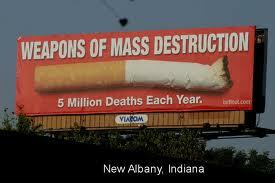 It’s even worse than allowing the cigarette industry to advertise to young people, which we no longer permit. 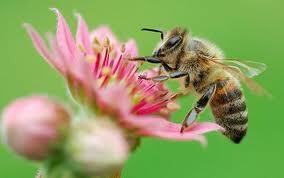 The bees are the canaries in the gold mine, and they’re dropping fast. 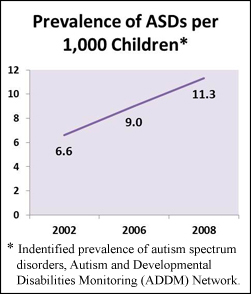 Are we going to delay until the statistics tell us that 1 in 50 children in the U.S. are born autistic? This is a national and international outrage that must be addressed now. Another amateur scientist making a bid for glory – if only science was this simple. Let’s see how this prediction works out over the next 5 years. So Ken Wilsher, you think that a person who is a member of both the Union of Concerned Scientists, and Utah Physicians for a Healthy Environment, is not a scientist? Perhaps you are a troll who is trying to support big Ag companies, or just any business for that matter, which feels it is okay to inflict birth defects on our children so that they can increase their profits? Perhaps you hate children, or just people in general. Most certainly you are a Republican. I am so resentful of your last line of your comment to Ken, its people like you who divide and block progress from being made. How dare you lump people in a group. Its attitudes like yours that make others suspicious, and resentful of your holier than thou attitude. I’m a republican, that eats organic, has been vocal my objection to CAFO’s, which is very unpopular considering where I live and I have NEVER met anyone republican or otherwise that hates children or the environment. Instead of dividing people into neat little boxes, and alienating groups of people, just deal with the person your addressing and stop exposing yourself as a prejudiced and narrow minded, albeit educated blowhard. I always wonder what people like Ken Wilsher are so frantically defending. Most such people have the luxury of this sort of glib naysaying until someone close to them suffers the results of our corporate society’s cavalier disregard for the ecosystem and for human health. One thing you did not touch onin this important blog post, Jennifer, is one of the other ways society tries to lull us into complacency. Now new autism spectrum guidelines are being considered that would not only make the alarming figures seem less alarming; they would also take much-needed services from those who suffer with autism. A system based on profit as the bottom line has so many tricks up its sleeve. We only have good information, and our efforts to disseminate that information. The NY Times tells us, that it is genetic. “Rare gene mutations” – which are obviously not so rare anymore. One wonders, how our genes got that bad in just a few decades? How can all the scientists get research funds in theses times of austerity and budget cuts? How can the thousands of journalists, bloggers, and comment writers, who are busy writing and filling webpages day in and day out, possibly make a living? I could give you a hint, and if you are not bothered by moral restraints, it is not that difficult. I was busy gardening in the last days, and I was busy weeding out dandelions. They have deep roots, one really must dig them out. I will never get rid of them completely, but why should I? Dandelions are robust and adaptable – they are not my favorite flowers but they are a part of the garden – I only have to keep them away from my strawberries. A few years ago now, The National Geographic TV channel screened an excellent 4-part series entitled Strange Days on Planet Earth, presented by Hollywood star Edward Norton… All four or the 1 hour programmes are excellent but, in the context of this post, the final part is well worth watching. You will find it (and all the others) here on Learning from Dogs (along with lots of excellent comments from a variety of people [albeit including me]). Thanks for these great suggestions, Martin, I will definitely check out the films you’re mentioning. We all need to become more educated about these critical issues that are literally matters of life and death! Dear Jennifer, Have to thank Martin Lack for adding a comment to a piece that came out today on Learning from Dogs that included the link to here – great find. I, too, wrote about Autism and Bees, see http://learningfromdogs.com/2012/04/13/autism-and-bees/ but didn’t do as thorough a job as you!